Oregon Children’s Theatre is excited to present its first-ever international collaboration: a quirky and hilarious retelling of the Greek classic Jason and the Argonauts this spring at the Winningstad Theatre! We partnered with Visible Fictions, a theatrical company based in Glasgow, Scotland. Visible Fictions creates vibrant, high quality and accessible theatre for young people and adults alike. Over the years, their work has inspired and entertained audiences across the world – from Broadway to schools in the Scottish Highlands – always aiming to challenge, excite, and thrill. No two Visible Fictions performances are alike but all guarantee an equally memorable and powerful experience. Alongside their professional performance work, the company produces dynamic education and participation projects which also enthuse all who connect to them, helping participants to discover their own artistic potential and inspire their own learning. “Visible Fictions toured their production of Jason and the Argonauts internationally for many years,” Director Marcella Crowson explains, “but this is the first time they are allowing another organization to produce their show.” During early conversations about the origins of the script, Crowson and Visible Fictions’ Artistic Director Douglas Irvine discovered a shared affection for the films of Ray Harryhausen. The 1963 film Jason and the Argonauts, featuring Harryhausen’s distinctive stop-motion visual effects, was the inspiration for the Visible Fictions adaptation in 2007. “We were drawn to this script and the production because of its imaginative approach to storytelling,” Crowson continues. The script, written by Robert Forrest, features a two-actor cast playing over 15 different characters and creatures. 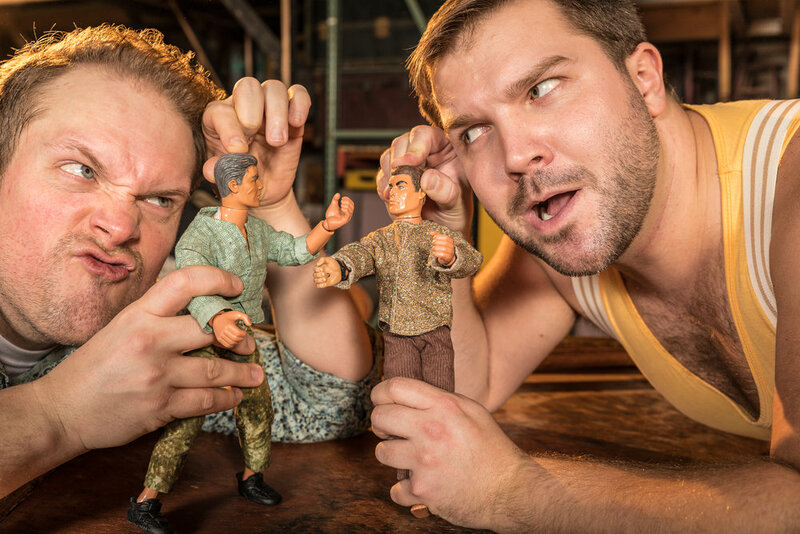 The two main characters, Josh and Andy (played by Heath Koerschgen and James Sharinghousen) embark on a whirlwind retelling of the classic tale using action figures, paper boats, and other household items. The result is an imagination-packed adventure. Heath is so excited to be back onstage for OCT after playing George Buckman in Flora and Ulysses! He is a two-time Drammy nominee for 1776 and The Seven Wonders of Ballyknock. He has performed onstage locally with Artists Rep, Portland Center Stage, Lakewood Theatre, Theatre Vertigo, Post 5 Theatre, Corrib Theatre, Jewish Theatre Collaborative, Portland Shakespeare Project, NWCTC and the Oregon Shakespeare Festival. He is also a member of the Portland sketch comedy troupe Spectravagasm. Television/film credits include: The Librarians, Grimm, The Wonderland Murders, Hatched. He is a graduate of Southern Oregon University (BFA). For Mom, Clara, Nyx, Pauline, and our little pineapple. James is thrilled to be returning to the OCT stage! He was recently seen in Clackamas Rep's Ripcord, and Oregon Children's Theatre's remount of A Year with Frog and Toad as Toad. His other theater credits include Oregon Children's Theatre's Fly Guy the Musical, and as Toad in A Year with Frog and Toad in 2014 (Drammy). Previous work includes companies such as Clackamas Repertory Theater, Vertigo, Profile Theater, and as Will in Oklahoma! (Drammy) with Broadway Rose. With Triangle, as Gabriel in An Act of God, Nicky/Trekkie in all Avenue Q casts, Alex in Buyer and Cellar, and many more! He's excited to go on the epic journey with you, the audience. Thank you for supporting the arts! Marcella is the Associate Artistic Director at OCT. She was fortunate to be steeped in theater from a young age, growing up in Ashland, Oregon. She played a variety of aliens, old ladies and narrators in her early years—an auspicious beginning to what would become a career in theater spanning 30 years. For OCT, she has directed The Very Hungry Caterpillar Show (Drammy Award Winner for Outstanding Achievement in Puppetry), Flora & Ulysses, The Miraculous Journey of Edward Tulane, Timmy Failure, Zombie in Love (Drammy Award Winner for Best Director of a Musical), The Stinky Cheese Man, The Storm in the Barn, A Wrinkle in Time, On the Eve of Friday Morning, Dis/Troy, The True Story of the Three Little Pigs. She has had the great privilege of working for such theaters as Oregon Shakespeare Festival, Shakespeare Santa Cruz, Portland Center Stage, CoHo Productions, Live on Stage, Oregon Repertory Theatre, and Eugene Festival of Musical Theatre, among others. She is on the board of Theatre for Young Audiences/USA. Douglas Irvine, Visible Fictions’ Artistic Director, has worked for Visible Fictions since its conception and has been Artistic Director for 19 years. During that time he has travelled all over the world collaborating with organizations such as The Kennedy Center in Washington, The Edinburgh Mela, Vetor Zero in Brazil, Mark Taper Forum in LA, BBC Panorama, and Radio 4. 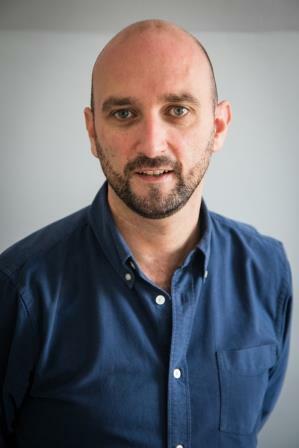 He serves on the board of the International Performing Arts for Youth in North America and has just completed a 6-year term of office on the board of Puppet Animation Scotland, Edinburgh. Douglas has experience in creating all sorts of experiences for young people from outdoor, site specific, theatrical tours, film, and schools work. Robert Forrest has been a professional writer for almost thirty years. Other plays for Visible Fictions are Prince Unleashed and Curse of The Demeter. Theatre work also includes Kepler, Lucia, Nova and Poem In October. He has written consistently for radio, where he has won three awards, having produced more than fifteen original plays, including Shanidar, Summersets, The Strange Case of The Man In The Velvet Jacket and four series of The Pillow Book, set in 10th century Japan. He has also dramatized many novels by authors such as George Eliot, Tolstoy, Nabokov and R L Stevenson. He wrote four of the dramatizations for Radio 4's acclaimed The Complete Smiley. He has also written for television and published short stories. Daniel is a composer and musician based in Glasgow and over the last few years he has composed music for theatre, film, and television. In addition he has run music workshops for children and adults, reflecting his beliefs that learning and creating music should involve improvising and experimenting. He is a member of the groups Volcano The Bear and The One Ensemble and has performed extensively around the UK and Europe. Robin is a graduate of the University of St Andrews and taught at the University of Erlangen-Nurnberg, Germany. He was the holder of the first Scottish Arts Council Director’s Bursary and is the former Artistic Director of Scottish Youth Theatre and the Brunton Theatre. Guest direction/design work includes the Tron, Mull Theatre Co, Whitehall Theatre, 7:84, Theatrebabel, the Byre Theatre, The Singing Kettle, Perth Theatre, and the Traverse. He has directed and designed over 250 productions ranging from the classics to new Scottish writing to pantomime. He has also commissioned a wide range of new writing. James Mapes is a lighting and video designer, board game creator, sci-fi writer, and all-around creative person born and based in Portland, Oregon. This is his second show designing for OCT, and he's incredibly excited to be dusting off his action figures for this one. Inside the theater, he works primarily in dance, and has had the good fortune to tour to many fantastic places, including China, India, Europe, and especially the Edinburgh Fringe. He is a regular collaborator with BodyVox Dance, Éowyn Emerald & Dancers, the Portland Ballet, Mammalian Diving Reflex, and the Risk/Reward Festival. He kickstarted his first board game in 2016 and has a pair of follow-ups planned for the near future. He has a family; they are great. Paul has worked as a lighting designer for a number of years and has lit many productions for Visible Fictions. These include; Big Baby, Prince Unleashed, Shopping for Shoes, Monster, The Pearl, Emily’s House, Beethoven’s Brother, and Henry and the Seahorse. Liz has been making and designing costumes for nearly 20 years, working with Scottish Ballet, Scottish Opera, The National Theatre, The National Theatre of Scotland, the Banff Centre in Canada, and many other companies. Jason is one of eight productions she has worked on with the Visible Fictions team. In recent years her worked has range from making wild costumes and props for The Singing Kettle to creating painstaking embroideries for the Palace at Stirling Castle. Raymond choreographed his first fight at the age of 12 for his local karate club. He graduated from RSAMD in 1994. As a professional Fight Director, he has induced thousands of people to injure, maim, and kill each other (safely on stage and screen of course!) He first worked for Visible Fictions as an actor in the Adventures of Pinocchio, as well as choreographing fight scenes. He was the Fight Director for Peter Pan, Jason and the Argonauts and Zorro. Sam is thrilled to be working with OCT on this production. Sam has been choreographing fights and teaching combat workshops since 2012. Previous fight coordinator credits include: MacBeth at Shaking the Tree Theatre, Night of Ashes at Cleveland High School, Passion Play at Profile Theatre, and more. He also won a Drammy for Outstanding Achievement in Fight Choreography in 2015 for his work with Northwest Classical Theatre in Wait Until Dark. Sam is currently an Artist in Residence at Cleveland High School, and a proud team member at JoAnn Fabric.